Returning Officer (RO) Zahid Iqbal announced the official provisional results of NA-122 and PP-147 by-elections during a press conference at Islamia High School on Monday. District Returning Officer (DRO) Ahmed Nawaz was also present on the occasion. 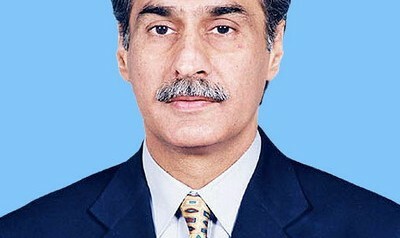 He declared that Pakistan Muslim League-Nawaz (PML-N) candidate Ayaz Sadiq had won the National Assembly seat in NA-122 while Pakistan Tehreek-e-Insaaf (PTI) candidate Shoaib Siddique won the MPA seat. He said that election was conducted with honesty and that the process had been completed transparently and without any pressure. Discussing the role of Pakistan Army, the RO said that they were assisted by the Army at all levels while the police, City District Government and other law enforcement agencies had also played a ‘marvellous role’ in the election process. Responding to allegations that some of the voters had been transferred to other constituencies without prior notice, he said that voters had themselves changed their registrations from one constituency to another. He said that not a single complaint had been received from any candidate. He told the media that some complaints regarding violation of code of conduct were received but nobody presented any proof. However, applications had been sent to the department concerned. As per lists issued by the RO, 149,885, out of 347,762 registered voters exercised their right to vote at 284 polling stations in NA-122, representing a 43.1 per cent turnout. As many as 1,858 votes had been rejected while 148,027 votes were cleared. Pakistan Muslim League-Nawaz (PML-N) candidate Sardar Ayaz Sadiq grabbed victory with 74,525 votes, while his rival Abdul Aleem Khan of Pakistan Tehreek-e-Insaf received 72,082 votes. In PP-147, 44.42 per cent voters 62,534, out of 140,767 exercised their right of vote at 117 polling stations while 61,469 votes were cleared and 1,065 were rejected on various grounds. Pakistan Tehreek-e-Insaf candidate Shoaib Siddiqui won the seat with 31,964 votes while his rival Pakistan Muslim League-Nawaz (PML-N) candidate Mohsin Latif obtained 28,402 votes.